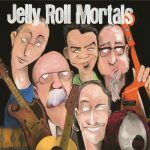 Preview the songs from our new, first, eponymous CD, Jelly Roll Mortals. Available at CD Baby and iTunes. Acoustic recordings at American University’s Kreeger Studio. Early drumless demos. One mic, used twice. Bill’s family room, used once.